France in London | Allez les Bleus! In order to show off France's diversity, the famous cheesmonger Maison Androuet has put together a special World Cup cheeseboard: e blue cheese for each player of the French football team! Why is diversity a good thing? 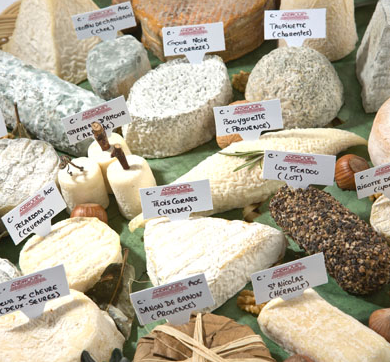 Each cheese has its own method of fabrication, its own terroir, its own cultural identity, and it's the sum of these identities that enrichen the nation. The same can be said for the French football team, where each player brings his own unique skill to play under the same colour. So for the duration of the World Cup, Maison Androuet is offering you a cheese board all in blue!